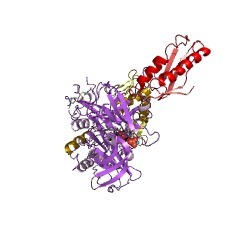 The beta subunit of archaeal and eukaryotic translation initiation factor 2 (IF2beta) and the N-terminal domain of translation initiation factor 5 (IF5) show significant sequence homology [(PUBMED:11980477)]. 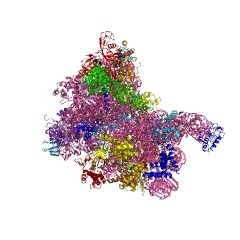 Archaeal IF2beta contains two independent structural domains: an N-terminal mixed alpha/beta core domain (topological similarity to the common core of ribosomal proteins L23 and L15e), and a C-terminal domain consisting of a zinc-binding C4 finger [(PUBMED:14978306)]. 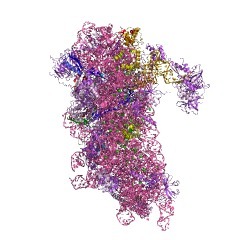 Archaeal IF2beta is a ribosome-dependent GTPase that stimulates the binding of initiator Met-tRNA(i)(Met) to the ribosomes, even in the absence of other factors [(PUBMED:17608795)]. 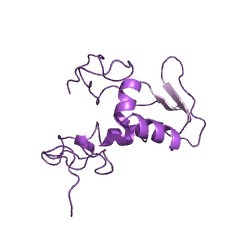 The C-terminal domain of eukaryotic IF5 is involved in the formation of the multi-factor complex (MFC), an important intermediate for the 43S pre-initiation complex assembly [(PUBMED:16781736)]. 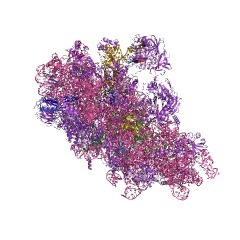 IF5 interacts directly with IF1, IF2beta and IF3c, which together with IF2-bound Met-tRNA(i)(Met) form the MFC. 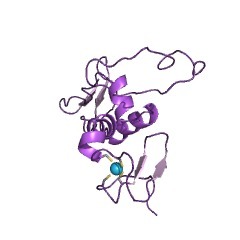 This entry represents both the N-terminal and zinc-binding domains of IF2, as well as a domain in IF5. 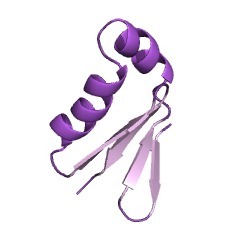 There are 2884 eIF2B_5 domains in 2881 proteins in SMART's nrdb database. Taxonomic distribution of proteins containing eIF2B_5 domain. This tree includes only several representative species. 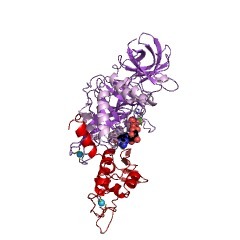 The complete taxonomic breakdown of all proteins with eIF2B_5 domain is also avaliable. 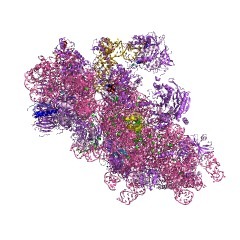 Click on the protein counts, or double click on taxonomic names to display all proteins containing eIF2B_5 domain in the selected taxonomic class. Multidomain organization of eukaryotic guanine nucleotide exchange translation initiation factor eIF-2B subunits revealed by analysis of conserved sequence motifs. Computer-assisted analysis of amino acid sequences using methods for database screening with individual sequences and with multiple alignment blocks reveals a complex multidomain organization of yeast proteins GCD6 and GCD1, and mammalian homolog of GCD6-subunits of the eukaryotic translation initiation factor eIF-2B involved in GDP/GTP exchange on eIF-2. 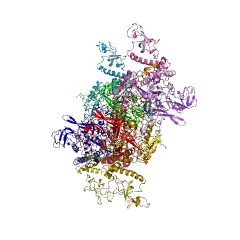 It is shown that these proteins contain a putative nucleotide-binding domain related to a variety of nucleotidyltransferases, most of which are involved in nucleoside diphosphate-sugar formation in bacteria. 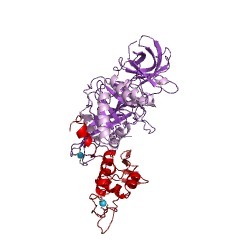 Three conserved motifs, one of which appears to be a variant of the phosphate-binding site (P-loop) and another that may be considered a specific version of the Mg(2+)-binding site of NTP-utilizing enzymes, were identified in the nucleotidyltransferase-related domain. Together with the third unique motif adjacent to the the P-loop, these motifs comprise the signature of a new superfamily of nucleotide-binding domains. 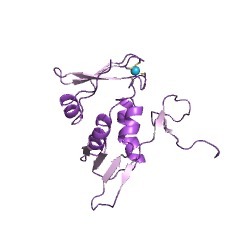 A domain consisting of hexapeptide amino acid repeats with a periodic distribution of bulky hydrophobic residues (isoleucine patch), which previously have been identified in bacterial acetyltransferases, is located toward the C-terminus from the nucleotidyltransferase-related domain. Finally, at the very C-termini of GCD6, eIF-2B epsilon, and two other eukaryotic translation initiation factors, eIF-4 gamma and eIF-5, there is a previously undetected, conserved domain. 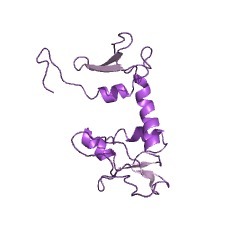 It is hypothesized that the nucleotidyltransferase-related domain is directly involved in the GDP/GTP exchange, whereas the C-terminal conserved domain may be involved in the interaction of eIF-2B, eIF-4 gamma, and eIF-5 with eIF-2. 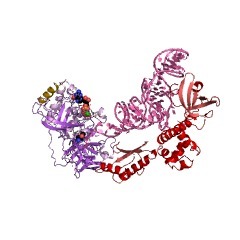 3cw2 Crystal structure of the intact archaeal translation initiation factor 2 from Sulfolobus solfataricus .